The Rocky Mountain Tour and Race Guide is now available. 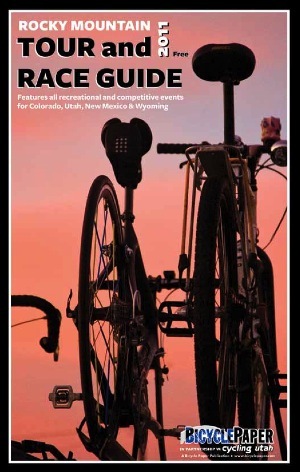 The guide includes a calendar of events for Colorado and New Mexico, as well as Utah and Wyoming along with other great info. These are available at your favorite Utah, Idaho, New Mexico, Colorado, and Wyoming bike shop or as a download (10 mb).